Entire Program is on one CD ROM. 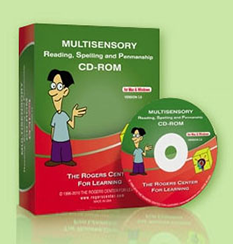 Each CD-ROM maintains the progress reports for 15 students and is compatible with both Macintosh and Windows formats. "Learn to Read, Write and Spell" app is designed for the Android platform tablet users. This Android app teaches advanced reading and spelling skills to adults, adolescents and children. "Learn to Read, Write and Spell" app is designed for the iPAD platform tablet users. This iPAD app teaches advanced reading and spelling skills to adults, adolescents and children.